Some old stuff that I am reworking…and love! Years ago, John Powell and I had a long conversation about training past the age of forty. John, for those of you who may not know, is the former world record holder in the discus and holds two bronze medals from the Olympics…as well as a Silver medal from the world championships at age forty! John broke down “past forty” training into two basic “phases:” Phase One, which may last from 30 days to 30 years, and Phase Two, the key to superlative performance in not only the Master Athlete, but everyone else, too. Yet, none of this came clear to me until after the Northwest Regional Masters Track and Field meet when George Mathews mentioned that “the problem with being a Master is the loss of muscle mass.” He noted that at a certain age, you suddenly become frozen, it seems. Hypertrophy, the building of muscle mass, seemed to be the answer. The problem? The traditional means of periodizing, building up one’s training over a few months was shaped like this: Period One: Hypertrophy (Good old Bodybuilding) Period Two: Basic Strength Time (Go Heavy, Go Hard, Go Home) Period Three: Basic Power Stage (This is when one starts lifting faster in the weight room, more emphasis on speed on the track Competition …compete Period Five: Recovery (an active rest period of a few weeks where one backs way off and lets the mind and muscles heal. For the older athlete, this may still work, but John noted that there was a key element missing Passion! George also pointed out that the loss of hypertrophy (muscle mass) was the missing. This could last as long as a whole career. Basically, it is the “nerve and muscle” stage. One learns the techniques of the sport and ingrains a simpler and smoother method of performance. Ideally, one would begin with a full blood profile test, I would argue for HDL and Triglycerides to be monitored throughout one’s adult life. John Powell added testosterone and DHEA levels for men, too. During training, one strives for, first, correctly performing all the movements…from lifting to jumping to the competitive movement. Second, John recommends repetitive, but rhythmic, sets of “big lifts,” i.e. squats, cleans and snatches. You did these in a circuit, one after another, then tracked your heart rate on completion. You did this cluster for three sets. As your heart rate would go down (over time), obviously your conditioning was better. Also, your total circuit time should try to go down, too. 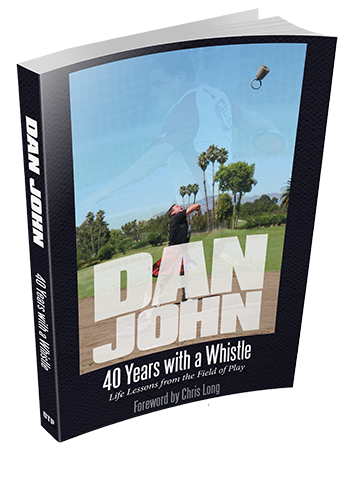 John discovered that these “fast”workouts focusing on speed and condition, led him to his lifetime best throws. For basic training, John believes that repetition is the mother of instruction in Phase One. He though any drill that one could do over and over…while focusing on making the technique simpler and simpler…would be the key. For a discus thrower, he recommended doing the turn forwards and backwards (without throwing) with an overweight implement, then going through a workout. In every sport, there are drills that ingrain technique. But how to move on? John had only one word: Passion. From the Latin, “to suffer,” I can’t think of a better word to describe the Love/Hate/Suffer/Fury that is required to improve as an athlete. Sadly, many young athletes have all the physical gifts, yet no passion. “The Love of the Game” is a perfect title…for a disappointing movie. 1. Travel to a lot of meets. 2. Hang out with your competition for long periods afterwards. 3. Read everything, watch everything you can about your sport. 4. Travel some more. Hang out some more. Learn more. 5. Spend your money on your sport! 6. See number four above! Yet, something is missing. I think George hit it on the head when he discussed hypertrophy. For Phase One, we can focus on speed and technique (nerve and muscle), but in Phase Two…as we build passion in our hearts…we need to build muscles in our body. The more I think about this, the more I KNOW IT IS RIGHT! As a matter of interest, short spurts of intense training increases the natural Growth Hormones of the body…the anti-aging drugs. In Phase Two, a serious attempt to both raise GH and build muscle are a yin-yang relationship! The research, although it is tough to discover, seems to point to several things, if you want to increase GH (and hypertrophy). 1. Eat some protein before lifting…ten to twenty grams. With Kettlebells, are you kidding me? Goblet Squats, Swings, Snatches, Get Ups, Clean and Presses…the whole RKC! 4. Don’t be afraid to “bodybuild.” Get those arm curls, triceps extensions, pull upswhatever. Put your time in during Phase Two building your Passion and Body. 1. Keep a journal. If I could recommend only one thing, it would be to keep this on-going conversation with yourself. As you link the days together and watch the ebbs and flows of your training and life, you can pick out the clues that lead to success in your life …athletically and real! 2. Buy books and videos on your sport. Brian Clay’s discus technique has changed my vision of things! Read magazines, books and internet articles that apply to your sports and try new things! 3. Practice both single and wide focus in your sports. Single focus would be bowling alone on one lane trying to just throw strike balls …ignoring all spares. In your sport of choice, you should occasionally strive to fix just one thing: all your resources should pour into attacking or improving one aspect of training. Wide focus is what a football coach does: the coach measures and adjusts his 92 man team, seven assistants, four managers, bus drivers, et al to deal with the opposing team and the whims of the officiating staff. Both, single and wide focus can be exhausting…but for different reasons. Single can be “boring,” yet every athlete needs the “groove” from multiple repetitions. Multiple focus can simply over stimulate the senses. The Highland Game experience is a study in multiple focus: dancing, piping, drinking, eating, noise…and up to ten different athletic events with only a few that share any technical skills. A couple of ideas for training multiple focus: listen to music you hate while you train; train for three sports (throw, lift, carry, whatever) in a single training session; train in extre mes…cold, heat, fasting, time of day, odd locations; learn a new sport! Finally, invent new ways to train your current sport…seriously, “think outside the box” and restructure your whole training…or just one aspect of training. “Passion” fuels the athlete far beyond the next workout, the next week or the next season. It also may be the secret cure to aging!